Prizes are only given to our onsite participants. Organiser: The contest is hosted by Univesity School of Information and Communication Technology, New Delhi. 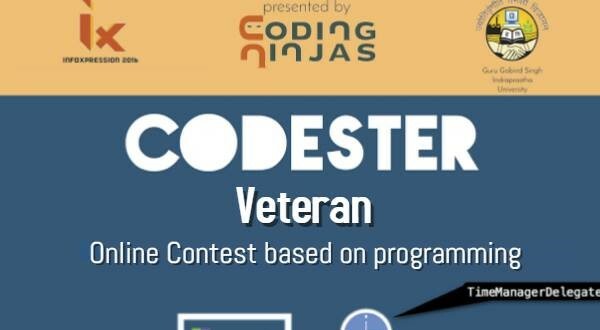 at : http://goo.gl/Ut8ie7 and also at infoxpression.in and you need to have a CodeChef username to participate. If you do not have a CodeChef ID create one here. You need to mark your presence on 23rd October 2016, 10:00 AM IST at Sector 16C,Dwarka,Delhi,110078. Please contact gagannagpal68@gmail.com for any queries during the contest.